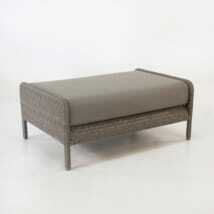 Spacious and stylish, what more could you want from a piece of luxury outdoor furniture? With the Zambezi Wicker Outdoor Club Chair in Pebble, we offer a fresh, modern alternative to refreshing and invigorating your outdoor living space. 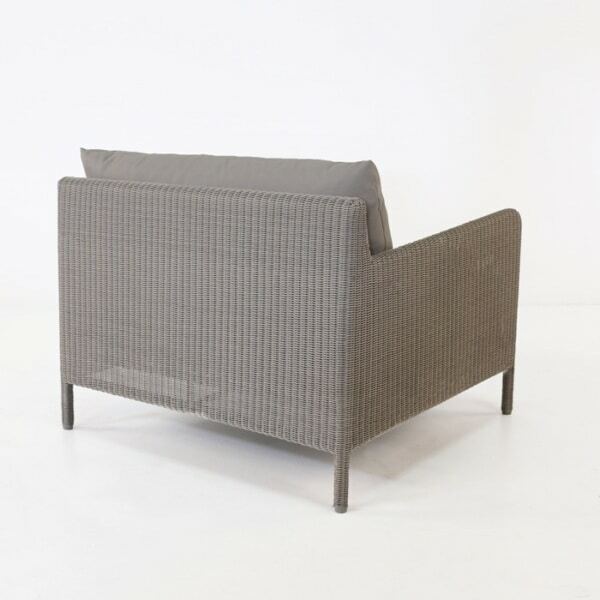 W41" x D37" x H32"
The Zambezi Wicker Outdoor Club Chair (Pebble) is part of Teak Warehouse’s fabulous new Zambezi Collection, a suite so effortlessly stylish many of our customers are placing inside as well as out! 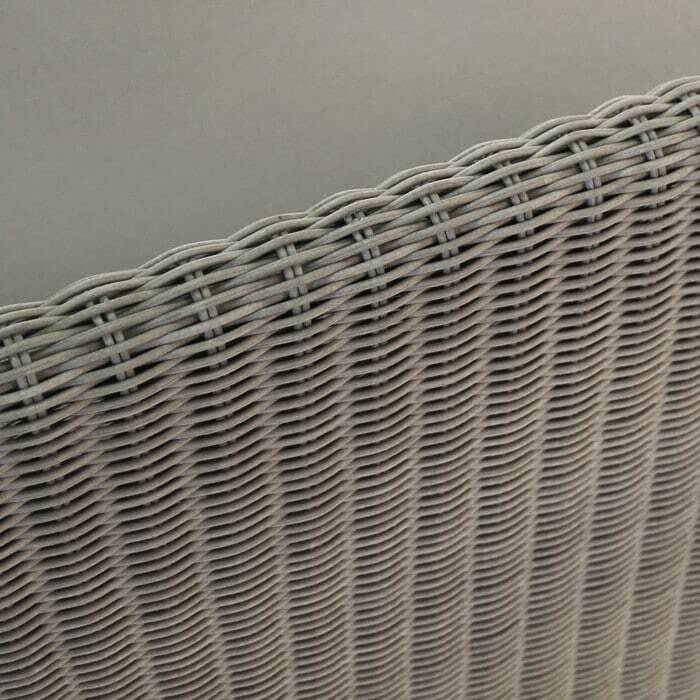 Elegant All Weather Wicker is wrapped beautifully around large pieces, designed for comfort, showcasing large sections of this fantastic wicker and creating a space for you to relax in the joy and comfort of your own surroundings. Our Zambezi Wicker Outdoor Club Chair (Pebble) is the perfect size to curl up in on a lazy afternoon, or cozy up next to a loved one. At a convenient 41 by 37 inches, this is a piece of furniture that is a must for your space! 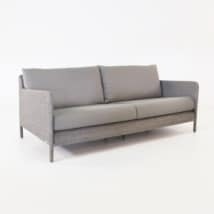 Also in the Zambezi Collection are Deep Seating pieces: Zambezi Ottoman, Coffee Table and Sofa, as well as the option of Chalk colored wicker. If that weren’t enough, we also have a fabulous Bench seat and Dining Arm and Side Chairs, so you can tie your Dining Set in with your relaxing area. Zambezi has been made using incredible technology making it completely suitable for outdoor use. On a powder coated aluminium frame is slender, dignified weave of through dyed, UV treated polyethylene-synthetic materials, made to cope with changing elements. To finish off the Zambezi Wicker Outdoor Club Chair (Pebble) we use Sunbrella® cushioning to keep you in comfort for longer. Teak Warehouse is proud to carry a great line of All Weather Wicker products, in a great range of Deep Seating, Dining, Relaxing Chairs, Accent Tables. Mix and match with our other marine quality materials for dimension and texture or keep it clean and simple with matching items. Teak Warehouse started with beautiful A-Grade Teak, and while the material still is as popular as ever, we have a bunch of other options to cater and customize to your space. Look at Reclaimed Teak, Raw Concrete, Batyline® and Textilene® mesh, Sunbrella® and Stainless Steel, Aluminium and much more. The Zambezi Wicker Outdoor Club Chair (Pebble) is an incredible single statement piece or to complete part of a larger collection. Fill your spacious deck with the roomy, inviting Zambezi suite! Frame your area with two Zambezi Wicker Outdoor Club Chairs in Pebble, with a Zambezi Wicker Outdoor Sofa in between. 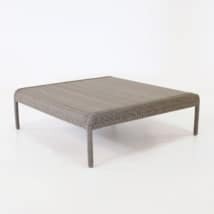 Bolden the look with a Concrete or even a Reclaimed Teak Coffee Table for a gorgeous mix of textures. Now all you need are your favorite people with your favorite refreshments and you’re set for a memorable and marvelous cocktail hour or tapas evening! The Zambezi Wicker Outdoor Club Chair (Pebble) can make a great addition to your Grand room, with its soft pastel tones and modern style, add a small, chic Accent Table to complete the look. 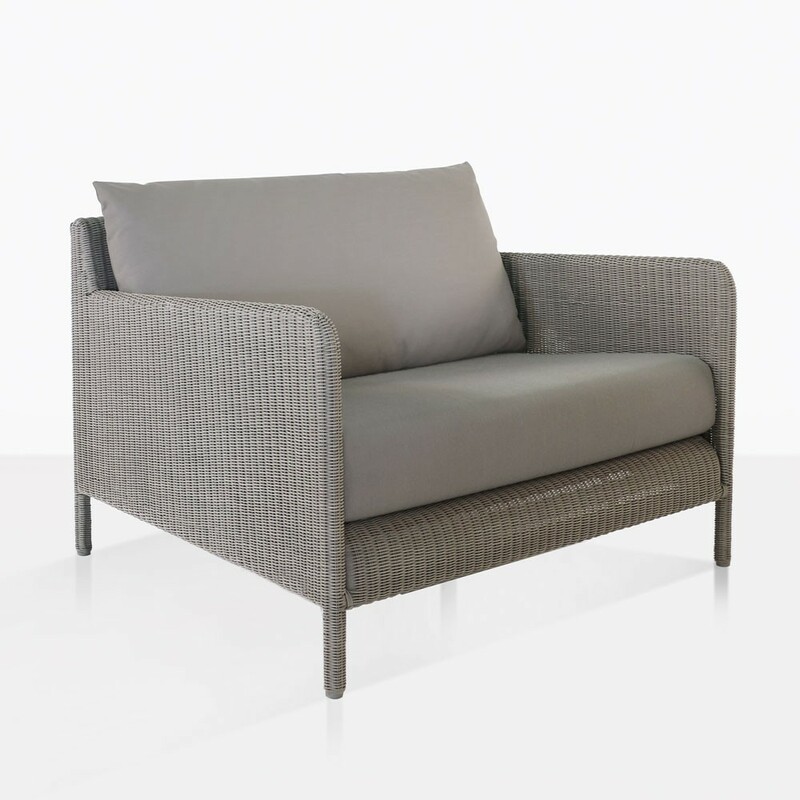 The Zambezi Wicker Outdoor Club Chair in Pebble is a purchase you wont regret. 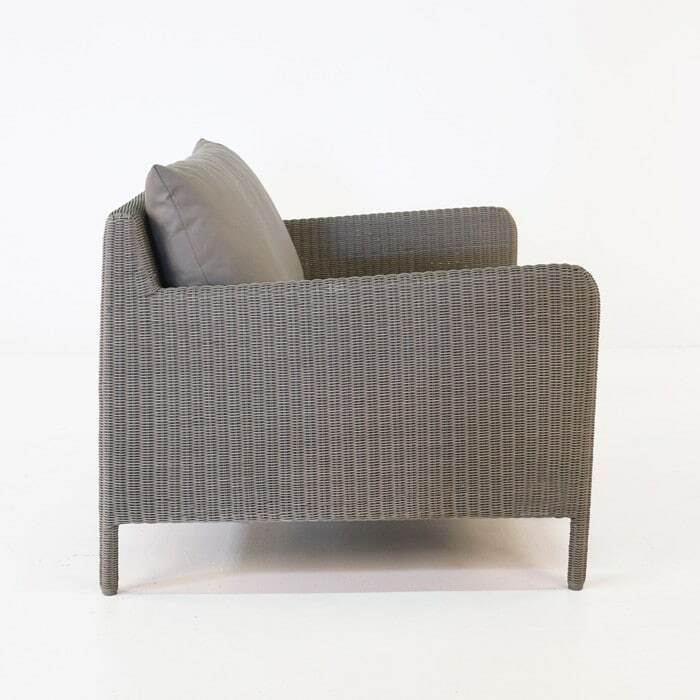 Bask in the comfort of this plush, contemporary club chair from Teak Warehouse.